The headline seasonally adjusted view shows little change in job openings – but the unadjusted data shows slowing. Even with the decline this month, JOLTS non-adjusted job openings remain about average for what was seen in the last 3 years. 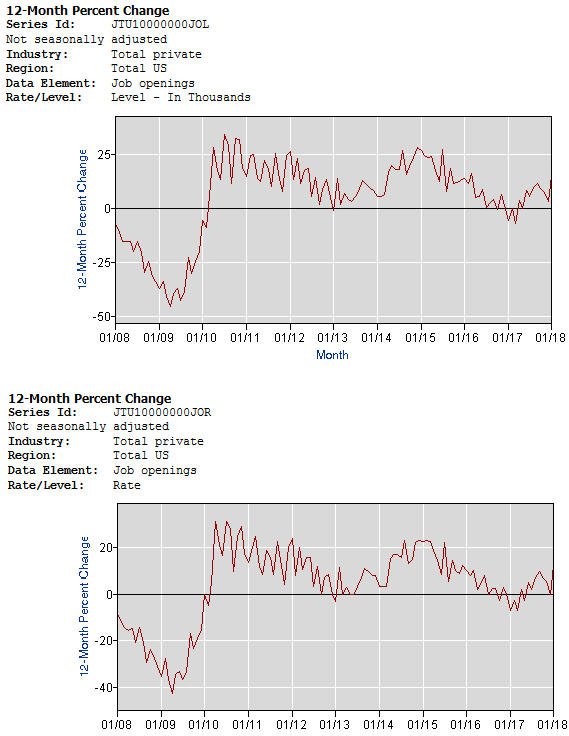 The graphs below uses year-over year growth of JOLTS Job Openings – both the level of openings and rate of openings. The JOLTS Unadjusted Private hires rate (percent of hires compared to size of workforce) and the separations rate (percent of separations compared to size of workforce – separations are the workforce which quit or was laid off). Please note that Econintersect has not been able use the hire rate or the separation rate (or a combination thereof) to help in understanding future jobs growth. A Philly Fed study agrees with Econintersect’s assessment. 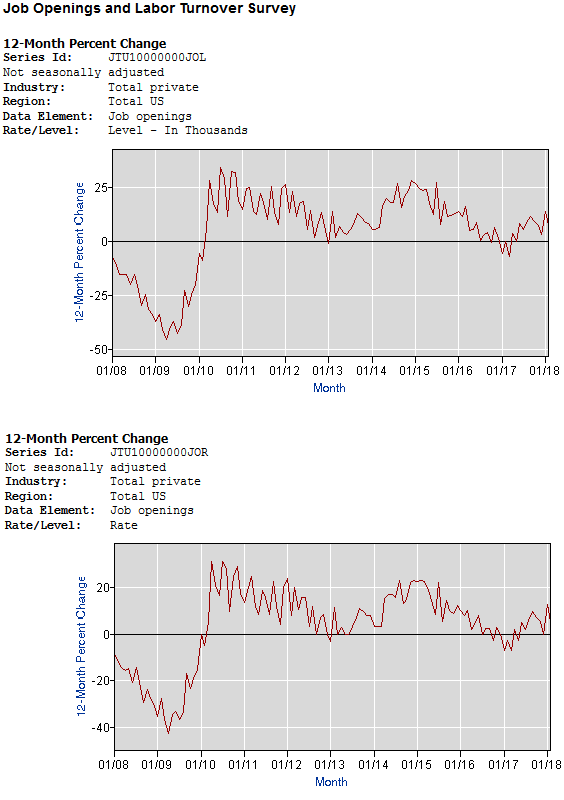 JOLTS is issued a month later than the jobs data – and correlates against one month old data.